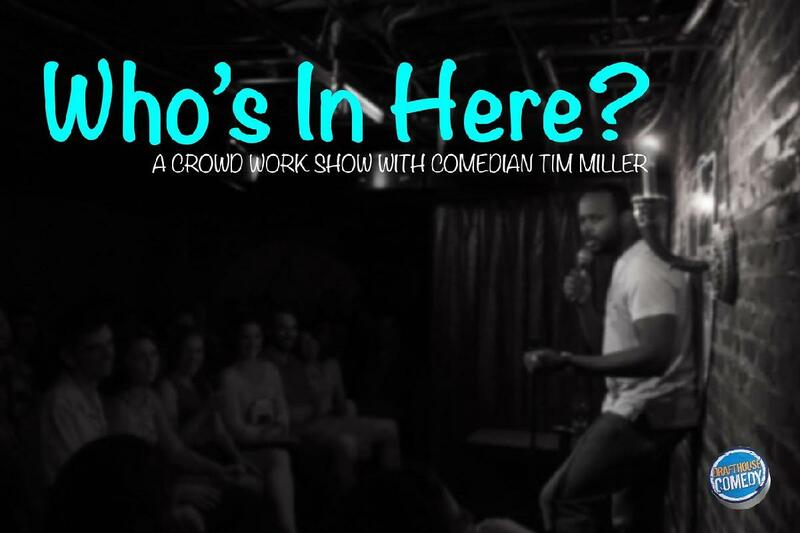 Every 4th Thursday, comedian Tim Miller hosts "Who's In Here? ", a comedy show based mostly on crowd work. Who's In Here? features local comics improving material based on the audience. If you're a good sport and don't mind literally being a part of the show, it'll be an experience like no other. Tim D. Miller is a master at engaging audiences and crafting a stand-up set that is a guaranteed good time for all. Tim’s material is based on his life experience from Waco to the White House, trying to raise a daughter, and his unique ability to find the funny in everyday life. Tim started doing stand-up after eight years in the U.S. Army (you’re welcome) and working as a videographer at the White House. His stage presence, combined with his charm, have garnished him rave reviews. He also produces the comedy show “Who’s In Here?”- a popular weekly D.C. social event where the crowd is literally part of the show. Tim has shared the stage with some of the best in the comedy universe, including Dave Attell, Jake Johannsen, Bert Kreischer, Jon Lovitz, Pablo Francisco, Joe Matarese, Bob Marley, Red Grant, Finesse Mitchell, and Daniel Tosh. He has been featured at the 202 Comedy Fest, S.C. Comedy Competition, Laugh Your Asheville Off Comedy Festival, and Laughing Skull Comedy Festival. Tim has been seen on TruTV (Laff Tracks w/ Cipher Sounds) and PBS (The Truth About Money). He can be heard on his debut album “Rule of Thirds” and regularly on the “Three Guys On” Podcast and Sirius XM radio.